It’s episode 28 of the DCAU Review, and Cal & Liam are discussing the finale of the Mr. 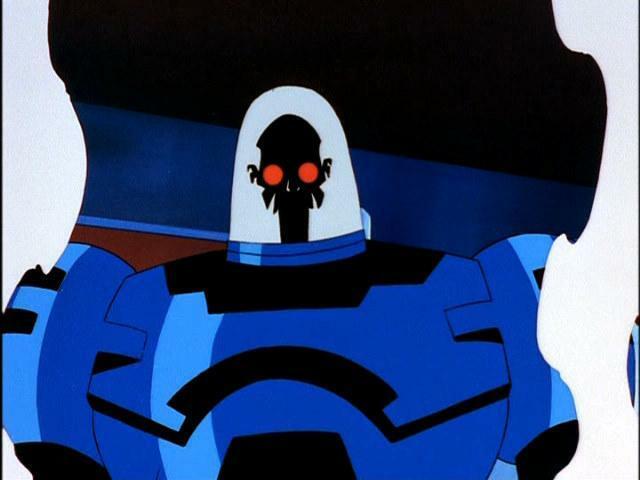 Freeze saga in Batman Beyond’s episode “Meltdown.” An old adversary and the first time Terry’s Batman is introduced to his season 1 arch nemesis are just two of the big moments that happen on this week’s episode. The Good Brothers talk some more uneven music, a tremendous all around look for the episode, and why they could listen to Mr. Freeze’s one-liners on repeat. Plus a full scorecard and maybe even a bonus point for wordplay, all streaming below! There may be no more celebrated episode in the entire DCAU, than the one the boys tackle in this week’s edition of the DCAU Review. Cal & Liam analyze the Emmy Award-winning “Heart Of Ice” for their 22nd episode and are excited to see if it hold up to its legendary status. Can the good brothers find some cracks in the ice? Find out as they discuss Paul Dini’s revolutionary interpretation that turned a once laughable member of Batman’s Rogues Gallery into the tragic Victor Fries character we know and love. Plus, an excellent soundtrack, loads of #CapeMovement and some surprise nods to a certain legendary Sci-Fi trilogy. All of this plus an exciting first for the DCAU Review scorecards!